Scottie Chapman was the Mistress of Metal through 2005. THEN: "Let's egg him on until he hurts himself. That's always fun." MythBusters fans may remember those fateful words from Scottie Chapman, spoken to Kari Byron as Tory Belleci tooled around on a bicycle just before attempting a bunny hop that ended ... badly. 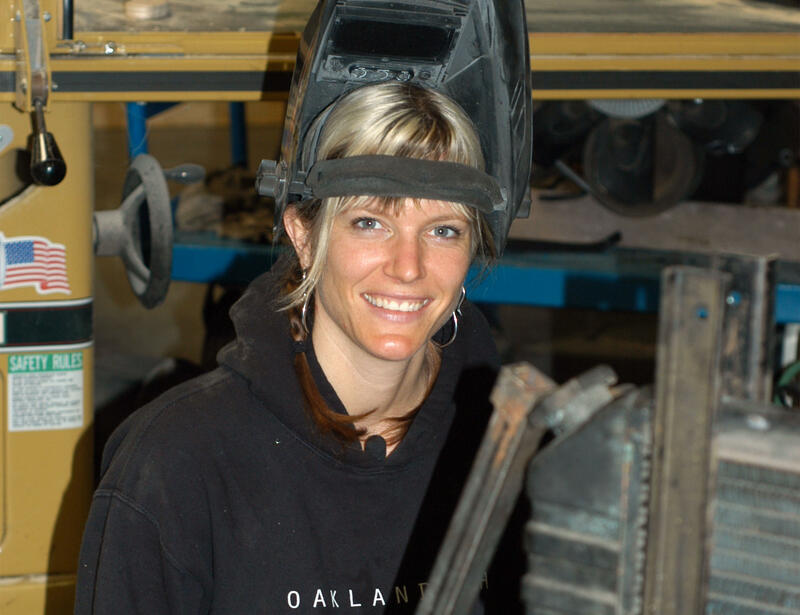 Trained in welding, machining and metal fabrication, Scottie Chapman served as the MythBusters "mistress of metal" from the series' start through 2005, when she decided to leave the show and "get her life back," in her words. Scottie returned as a guest builder on MythBusters a few occasions after that, including 2009's YouTube Special, and she even appeared on two episodes of Monster Garage. Scottie works with a DIFFERENT set of tools now! NOW: After spending 18 years as a metal worker and high-school metal shop teacher, Scottie went back to school to study to be a dental hygienist, receiving her A.S. in Dental Hygiene from Diablo Valley College in 2013. 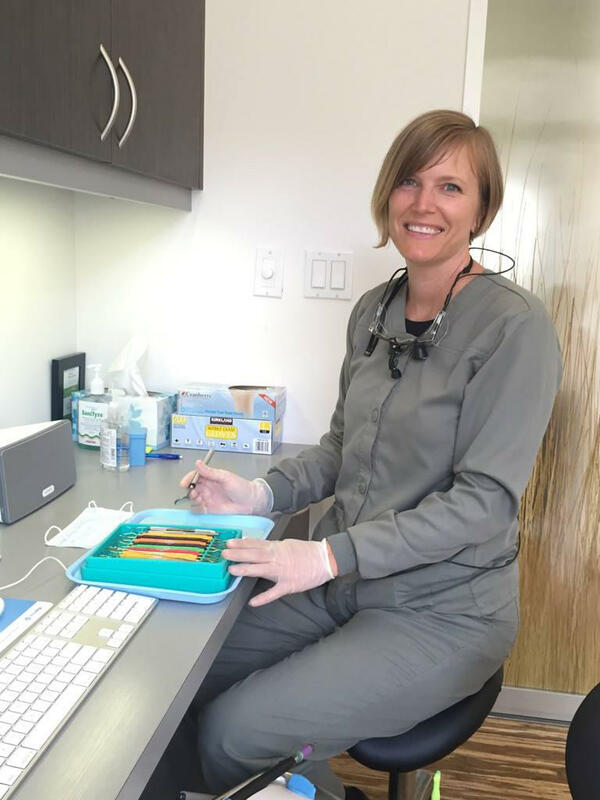 Today, she puts her talented hands to work helping to improve the oral health of her patients. But, Scottie tells us, "I also still like to get my hands dirty on the weekends. Metal fabrication will always be a part of my life."